Santhi Hospital is a charitable hospital established in 1988 at Omassery, a quaint village in Malabar. An initiative of Islamic Welfare Trust (IWT), the main objective of this hospital is to make quality medical care facilities available to the common man and the underprivileged sections of the society at an affordable cost. The hospital facilities reach an approximate population of over 10 lakh spread over 375 sq km. 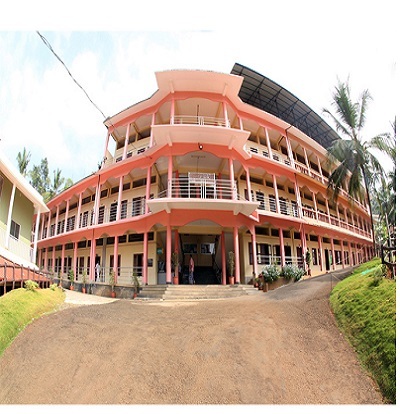 This School is located one kilometer east of Omassery town. It was started in the year 1992 and is now a leading school in Calicut district. It sprawls across an area of over 4.5 acres. The school comprises of a multi-storey building, a vast playground, a spacious library with an extensive collection of books, 500-seat auditorium, state-of-the-art labs for Physics, Chemistry, Biology, Computer, and Mathematics. The motto of the school is to impart quality education to the students of the socially and economically deprived sections of the society. The school strives hard in inculcating the basic moral values to the students and believes that education not only makes students power houses of information but also develops them as complete human beings upholding the eternal values of humanity in this fast changing world. Pleasant English School started its journey with 30 students and now it has grown to 950 students. This school is affiliated to Central Board of Secondary education up to Senior Secondary Level. The first three batches of class X appeared for AISSE examination and passed out with 100 % result while most of them secured high distinctions and first classes. Unlike other schools, Pleasant English School gives due importance in co curricular activities. The school takes additional attention and care of weak students and low achievers. They are provided with special coaching and remedial classes so that they can improve. Moreover with focus on the overall development of students, study tours, seminars, discussions, debates, quiz competitions, school parliaments, training in music, art, and craft are regularly conducted. Another noteworthy feature of the school is that it has been giving scholarship to the poor and backward children. Separate hostels for boys and girls are there for those students who stay far away from the school. Santhi College of Nursing is situated in Omassery, in Kozhikode District. The College was launched in the year 2011, with a batch of 31 First year BSc Nursing students. The college is affiliated to the Kerala University of Health Sciences (KUHS), and is recognized by the Indian Nursing Council (INC) and Kerala Nursing Council (KNC). 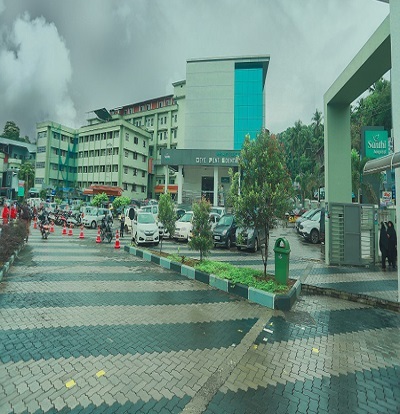 It is presently located on the sixth floor of Santhi Hospital, the parent Hospital, and will soon be relocated to its own infrastructure at Venappara, presently under construction, about 3 ½ kms away from Santhi Hospital. The College has hostel facilities for the female students.The College offers excellent learning opportunities to the students, both in classroom learning as well as in clinical experience. On induction, the students are put through an Ice-Breaking Session, followed by Soft Skill Training Program, to assist them with adjusting with the changed environment, besides adapting to the professional demands. They are also exposed to special language training sessions to improve their communicative skills. Special attention is also given to the co-curricular and extra curricular activities to ensure an ‘All-round’ development of the students. Every student has a teacher-mentor, with whom he/she can feel free to sort out personal issues and problems that hinder his/ her progress in the academic front as well as in non academic areas. The college strives to make every student practice effective communication skills, experience value education and develop the right job skills, with the sole objective of churning out gainfully employed professionals.